In October 2014, Clowns Without Borders Spain went to Algeria to perform 20 shows in the Tindouf refugee camp, for 5400 people. In 2008, Clowns Without Borders Sweden implemented a project in Algeria and in the Western Sahara Camps to perform 5 shows for 3000 people. 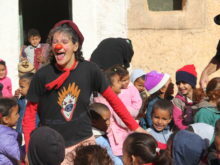 In 2007, Clowns Without Borders Spain returned to its project in Algeria and in the Western Sahara for a “caravan of laughter”. They performed 10 shows for 3000 people. 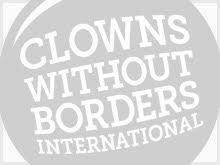 In 2006, Clowns Without Borders Sweden went to Algeria and Western Sahara Camps and performed 10 shows for 3000 people.